I would really like to thank Steve my driving instructor from Accelerate Bath Driving School. He is an amazing and friendly driving instructor. Steve was calm throughout all my driving lessons and tried to explain every single detail in driving to me. And with his help I managed to pass my driving test first time. Congratulations to Ali RahimSalehi who passed his pratical driving test 1st time on the 23 April at kingswwod test centre in Bristol. Ali passed with just a few minor faults, now you have your new found freedom to enjoy. 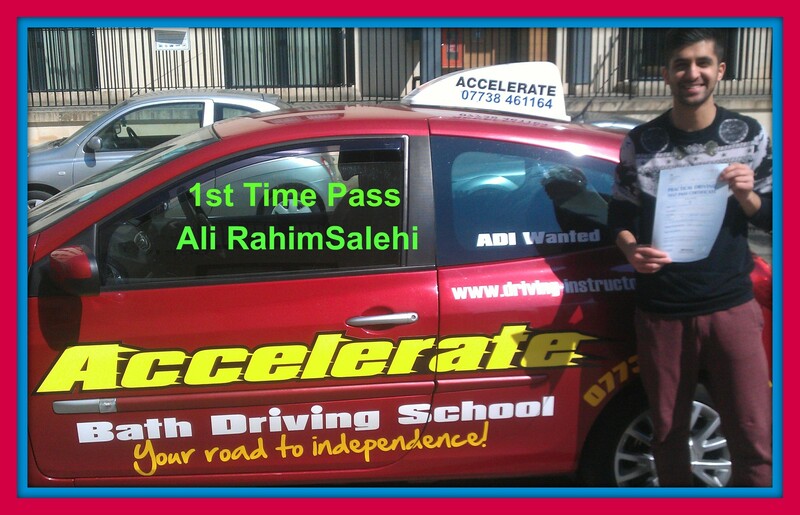 All the best from Stephen Paraskeva at Accelerate Bath Driving School be safe and enjoy your new car.